“My daughter Emma thoroughly enjoys taking voice lessons from Austin. In addition to improving her vocal skills, he is great mentor in terms of musical opportunities such as summer choir camp and preparation for competitions.” -Pati M.
"Austin was the greatest, so helpful and positive. Knew his material. Can't wait for the next lesson" - Kay S.
Austin Bradley received his Master's of Music in Vocal Performance from the University of Texas at Austin after completing his Bachelor's of Music at the Oberlin Conservatory of Music. He maintains a teaching studio of both voice and beginning-intermediate piano students. 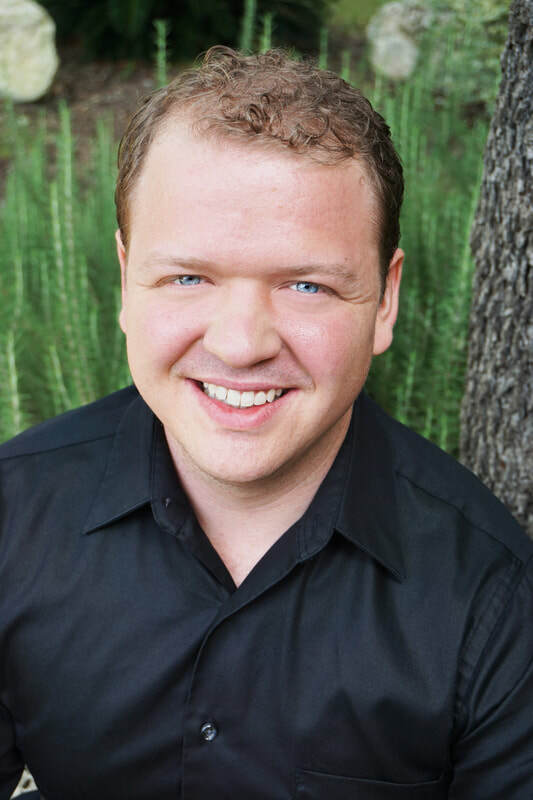 A former 2-year Texas All-State choir member and native of Waco, Austin enjoys helping prepare students for choral and solo auditions in voice lessons. He currently teaches in Eanes and Leander ISD middle and high schools and has several years of private teaching experience in both districts. In addition to voice, Austin is an accomplished pianist. He has placed in multiple Texas Music Teacher's Association competitions and has received multiple outstanding performance ratings from the Mary-Hardin Baylor Sonata Festival and local Waco Music Teacher's Association. In piano lessons, a student can expect to learn technique through basics of scales and arpeggios-- younger students are given short "technique-focused" songs to help in their development. Theory assignments, especially for beginners, are assigned bi-weekly to help in the comprehension of practical concepts such as chords, intervals, and harmonizing. Method books (Faber and Faber) are used until an appropriate point in a students' development.